James Jackson Sullivan, 65, passed away August 19, 2018, after a long and arduous battle with kidney cancer. He is preceded in death by his father Horace Daniel “Sully” Sullivan, mother Jo Yvonne Payne Sullivan, and sister Kathleen. He is survived by his wife Michelle Zingaro, daughter Esmar Sullivan and husband Monte Large, daughter Nazanin Yvonne Sullivan, their mother, Fataneh Sullivan Rush, his sister Marguerite Hampton and husband Earl, and brother Ralph Daniel Sullivan and wife Gayla, as well as nieces, nephews, and in-laws. J.J., or Jay, was born on October 15, 1952, in Brazoria County, Texas. He spent his childhood in the Netherlands and Plaquemine, Louisiana, before moving to Houston to attend Rice University (’74), where he earned a degree in Anthropology. 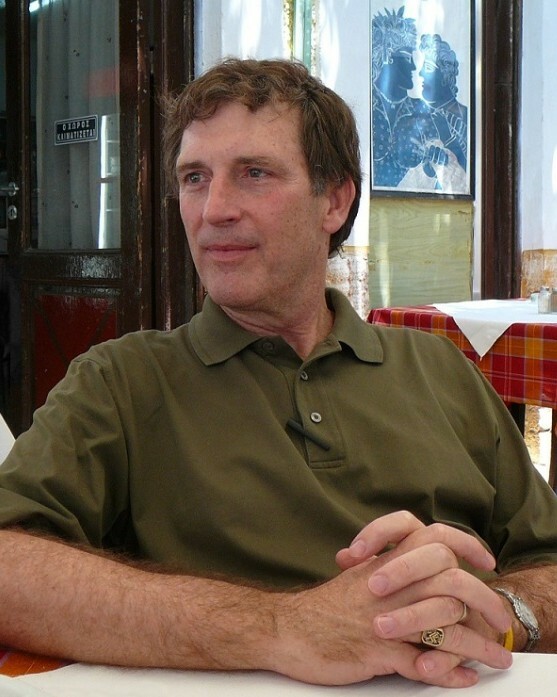 Jay then resumed his study of language and culture through several years of extensive travel, taking him first to New Mexico, then across Europe, Turkey, South Asia, and Afghanistan, living in India before settling and marrying in Iran. During the 1979 Iranian Revolution, Jay and his wife returned to Houston, where he continued his work as an English Language instructor. He taught at the Bilingual Education Institute and for the University of Houston at M.D. Anderson Cancer Center—the same hospital where he would begin treatment for kidney cancer in 2011, with former students often hailing him in the hallway or hospital room as a familiar face. Jay loved the classroom and interacting with individuals from all corners of the globe and walks of life, and always had an open heart and friendly smile for everyone he met. An avid scholar and polymath, Jay went on to earn his M.B.A at the University of Houston C.T. Bauer College of Business in 2001. He began a new career as a Contracts and Procurements Manager at WorleyParsons, which enabled him to further his cultural studies and travel, from California to Colombia to Equatorial Guinea. He never lost his passion for teaching, however, and continued to instruct and aid his beloved daughters in their educational and personal pursuits. Jay remarried in 2004, and he and adored wife Michelle carried on his tradition of world travelling, even climbing to the peak of Peru’s Huayna Picchu at the height of his illness. Jay was an avid cyclist and an ardent supporter of the National Multiple Sclerosis Society, participating in the MS150 for over ten years, riding throughout his cancer diagnosis and treatment. He was a top fundraiser for the MS150 and still participated after he was no longer able to physically undertake the ride. Jay had an eternally sweet and silly disposition, and nobly endured his illness with grace, discipline, good humor, and loving kindness. He delighted in all he was able to learn and everyone he was able to meet throughout the course of his treatment, and held a deep respect and appreciation for his medical team. Jay’s family would like to thank MD Anderson’s dedicated and diligent faculty and staff for attending to his care and treatment with the utmost compassion and competency. His family are grateful for every moment of J.J.’s presence, and will miss him tremendously—he was a uniquely gentle soul, with a curious mind and keen intellect, who cultivated peace and thoughtfulness in himself and others, and imparted sweetness, tranquility, and a sense of wonder of the world in all who had the pleasure of meeting him. A celebration of Jay’s life will be held Friday, August 24, 5-8pm, with service at 6pm, at Bradshaw-Carter. Memorial contributions can be made on Jay’s behalf to The Lazarus House, the National Multiple Sclerosis Society, MD Anderson Cancer Center (care of Dr. Eric Jonasch, for kidney cancer research), and Alliance for Multicultural Community Services. May all beings be happy and free from suffering.